I still haven't had much time for watching movies this month--at least not as many as I usually do. Here are films that I saw, some for the first time and some for the hundredth, that I love and recommend. I saw this movie in the theaters last year and it cracked me up. I watched it again on DVD recently and it still cracked me up. That's a sign of a good flick to me because I am a tough crowd--it takes a lot to make me laugh! I love this animated film. I seem to watch every time I'm feeling under the weather. What movies would you recommend that you have seen lately? 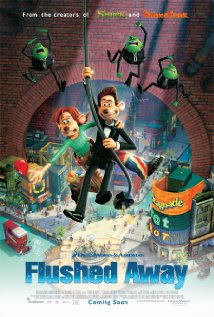 I haven't seen Flushed Away, but we really enjoyed MIB3 - crazy to think how long it's been since the first one came out! 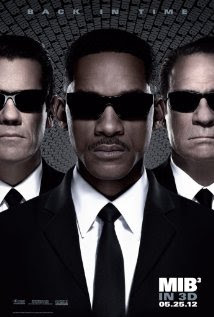 I still remember the lyrics to the song ... "Here come The Men in Black ..."
Flushed Away is a fun flick--you'd probably like it on a rainy day. It isn't anything masterful but it is certainly entertaining. I remember that song too! How fun.